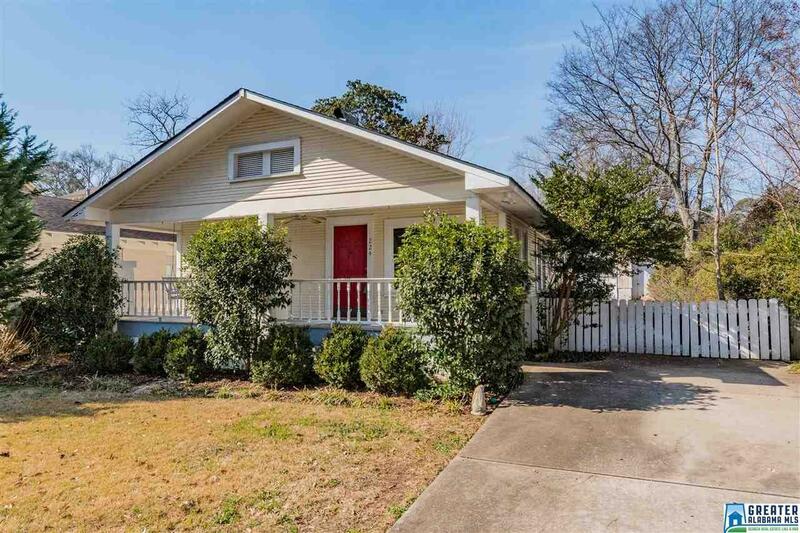 224 Acton Ave, Homewood, AL.| MLS# 838476 | Richard Jacks UABLIVING.com 205-910-2297 | Birmingham AL Real Estate | Contact us to request more information about our Homes for Sale in the Birmingham AL area. Fantastic Location - this loved street has new construction and remodeling going on all around it. This is a great opportunity to take a cute Edgewood cottage and make it your dream home. A flat lot in a very walkable area with a garage and alley access. If you have been looking for the right opportunity to turn a house into a home in Edgewood this is your chance. Only about 500 yards to Gianmarco&apos;s and JoJo&apos;s - less than a mile to the school and TacoMama/Saws/NYP/Sam&apos;s, etc. Driving Directions: From Broadway St Turn Onto Carr Ave; Turn Onto Acton Ave.